This Brookside shop is a total skincare haven! SKIN KC is my go-to non-toxic skincare destination in Kansas City. It’s owned by holistic herbalist Stephanie Simpkins, who hand makes her own skincare line, SKIN. Her greens skin cream is heaven for your winter skin! Everything is made with ingredients that you’ll wanna eat (but take my word and don’t - not that I know from experience or anything...) because they’re so fresh, clean and smell amazing. They have a lovely selection of makeup (including RMS, yes plz! ), as well as soaps and amazing eco-friendly haircare lines. This one-stop health babe shop has grown so much over the past few years, and it doesn’t appear to be stopping anytime soon. What started as a yoga and chiropractic healing arts studio has evolved into a full holistic lifestyle shop, complete with a menu of varied massage styles, organic facials, accommodating yoga classes, enhanced chiropractic offerings, and a carefully curated apothecary. Their featured products and classes are inspired by Ayurveda, meaning everything is tailored to meet your individual needs. This cutie pie beauty shop is the girly getaway you’ve been waiting for. In addition to natural facials, waxing and other luxury skincare services, they provide the most stunning lash extensions in Kansas City. If you’ve never gotten them, get ready for your next (fabulous) addiction! Also, they do all styles, from natural to va-va-voom dramatic. They also have a sweet collection of non-toxic lipsticks, nail polishes and even a build-your-own-facial-serum bar! It’s worth stopping by just to oogle their plants and pink walls. Just don’t be surprised when you’re walking out with a bag full of feel-good + good-for-you beauty products and a full set of lashes. This is a non-toxic lifestyle dream shop, owned by the sweetest cousins, Jessica and Nick (adopt me?). Get your Instagram ready for this equal parts beautiful and functional shop, featuring everything from organic deodorant that actually works (I promise), to potted plant babies (drool), to kombucha, to CSA deliveries (yes, really). They are so conscious that they even have organic laundry detergent refills to reduce waste of new bottles each time you run out. (They might be angels.) Their carefully curated lines of skin care, perfume oils and delectable array of affordable crystals are truly worth the drive south! 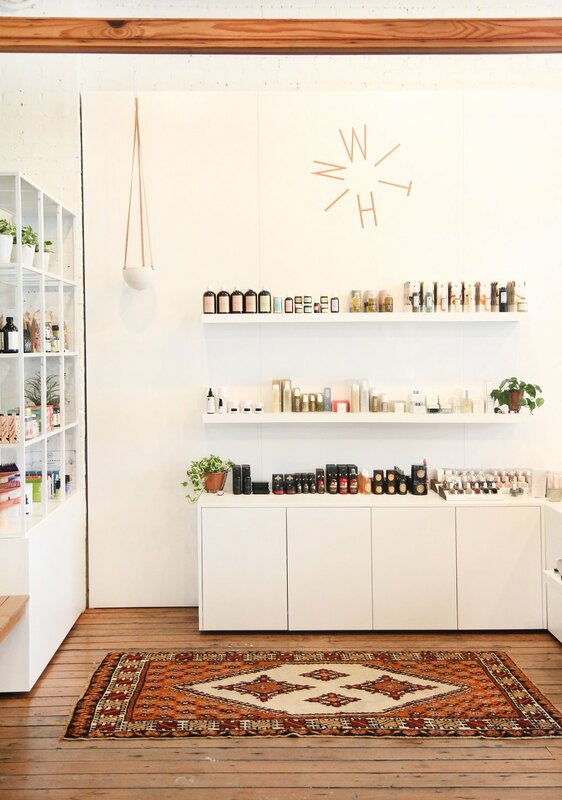 Within, Kansas City’s newest wellness boutique apothecary just opened up inside the local + lovely Fine Folk shop. They offer a dreamy collection of makeups (love the Gressa foundation that is made with clean ingredients like broccoli oil, wuuuuht!) and nail polish, as well as some obscure and high-end natural skincare lines (Icelandic algae mist, anyone?). They also have superfood rockstar powders for peeps-on-the-go, and beautiful lipsticks for a naturally bright kiss! Everything is carefully chosen with wellness in mind, meant to help you look and feel your best.